The residents of Fergus, London, Belleville & Gloucester have a wide variety of choices when it comes to public transportation. Public transit companies in the province operate subways, buses, trains and streetcars which provide safe, reliable and affordable methods of transportation to millions of people each day. However, just like with any other types of vehicles, public transit vehicles become involved in collisions and due to the lack of seatbelts and standing room only spots, these accidents can cause serious injuries to transit riders. Furthermore, as the public transit network expands and grows, accidents such as slip and falls occurring on public transit property such as train stations and bus terminals are on the rise as well. Public transportation companies are large corporate entities with entire legal departments and in some cases entire insurance companies at their disposal. 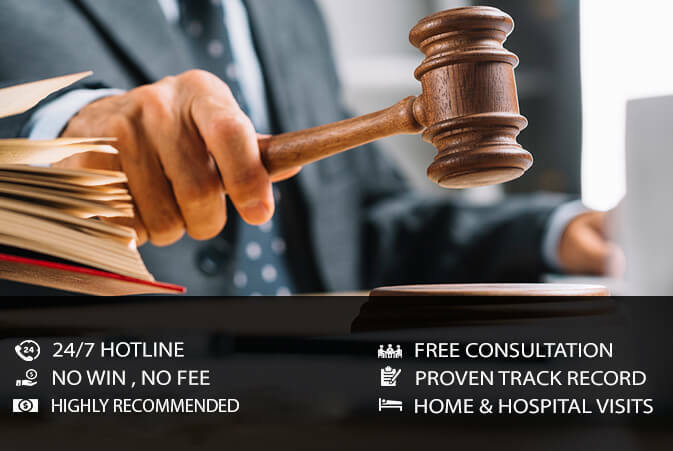 Having an experienced personal injury lawyer will allow you to focus on getting the treatment you need instead of being buried under confusing claim forms and documents. You may have rights that you were not aware of and without expert knowledge you may not be able to access certain benefits when it comes to the complex claims. If you or a loved one became the victims of a public transit accident, contact the legal team at EBPC Injury law. Regardless of whether the vehicle on which you were riding was involved in a collision or you slipped and fell on public transit property, we will provide you with a free consultation and advise you of your rights and options. We have won countless cases all over the province of Ontario and can help you and your loved ones. We will ensure that you receive the compensation you are rightfully entitled to by law. Your rights are our passion; call us today to experience the EBPC Injury law difference. You don’t pay unless we win your case.